The WA Police Force has in place strict requirements for the accuracy of speed and red-light cameras. 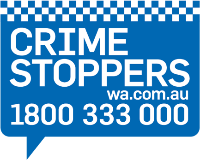 The testing of enforcement devices in WA exceeds the standards required by the manufacturer and are matched only by other state police jurisdictions in Australia. All devices are assessed, tested and re-calibrated every 12 months. Additionally, the WA Police Force engage independent National Association of Testing Authorities accredited resources to conduct regular end-to-end system tests. Regular speed comparison testing is conducted at red-light/speed camera sites. Speed accuracy, reliability and sensor tests are also performed by comparing a test vehicle's displayed speed (using an accurate calibrated speedometer display) and matching it with the speed shown on the camera measurement device. Additionally, the camera operator is responsible for testing the unit prior to and after an operation to ensure the device is operating correctly. Western Australian speed camera operations are designed to be fair to all road users. The WA Police Force apply the manufacturers equipment speed tolerance to all enforcements. This is to the benefit of the driver by reducing the detected speed by the amount allowed by the equipment specification. Tolerance is the difference between the speed detected by a speed camera and the speed at which police allege the driver was travelling. The difference always favours the driver and is applied to allow for drivers who inadvertently exceed the speed by a small amount for a short period and to cover any measurement variations. For example the Vitronic PS unit has a tolerance of +/- 1 km/h. This means a vehicle's speed detected as 60 km/h could be 61, 60 or 59 km/h. Therefore the WA Police Force remove the 1 km/h from the detected speed in all instances to give the benefit to the driver. Some drivers believe that an inaccurate speedometer is a defence against speeding fines. Almost all vehicles measure speed to the required degree to stay within the limits. If an older vehicle has an inaccurate speedometer, the onus remains with the driver to stay within the limit. A good analogy is that of breathalysers. While few people own a breathalyser, no one suggests we should be lenient in policing blood alcohol rules. The responsibility is on the driver to stay below the limit. Likewise, with speed limits.